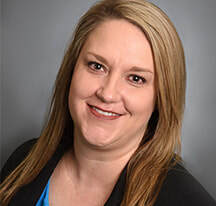 ​Kim Denton, of Oklahoma City, was recently announced as the Director of Hospital Development and Family Services at LifeShare Transplant Donor Services of Oklahoma. “Kim has a proven leadership track record of managing, coaching and motivating team members who go on to achieve extraordinary results,” said Jeff Orlowski, President and Chief Executive Officer of LifeShare. In this new position to LifeShare, Denton will be responsible for daily oversight of activities within Hospital Development and Family Services. In addition, she will work collaboratively with hospital leadership and staff members to provide expert advice to ensure hospital policies support the clinical and non-clinical aspects of donation. Denton earned a Bachelor of Science in Business Administration at Oklahoma State University.